Are the Tree View fonts configurable? (E.g., Connections). I am using a high-resolution display (1920×1200) and they appear quite small. Oh, but you probably wanted the how as well…OK. Note: my version string at the end might be a different than yours depending on your version of SQL Developer. If you think 14 looks huge, one of my co-workers has his set to 21! We have a preference in the UI for that. Oracle SQL Developer v4 is Live & Top 10 Reasons to Upgrade Today! Hey Jeff. You made my day. Windows 10 font scaling, especially for devices with high DPI truly messes up with JAVA based applications. Let us accept that SQL Developer is one of the greatly affected application as the total stack is based on JAVA. Unless it is all about FONT sizes, the best solution applicable here is what Vishnu Prasad has suggested. Right Click on sqldeveloper icon and select Properties. BUT the rest of the ……. display is still in very very small fonts – and it was OK this morning! Select Tools | Preferences | Code Editor | Fonts and set the font size. I had a problem after upgrading to 18.1 in windows on my high DPI screen where the application fonts where bigger for a second then they’d snap back to a really small font. No matter how I set “Ide.FontSize. *” it would always go back. It made me wonder if there was a problem with one of the tabs, so I start closing each one by one and found that by disabling the “Welcome Page” the application would keep my Ide.FontSize setting as expected! Hope this helps. It’s an issue with JavaFx, looking for a better fix but glad you figured something out. Thanks! You’ve saved my eyesight! Very happy to have been of assistance to you Jan – let us know how else we can help! I found the fix for this on my Windows 10 machine. 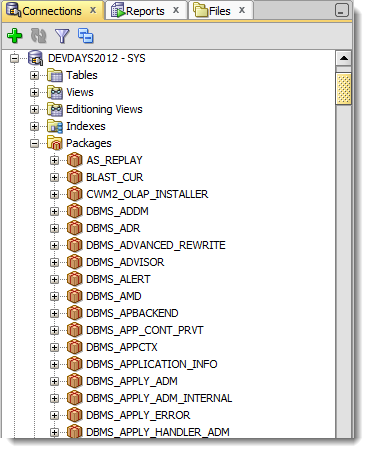 If you right-click on the SQLDEVELOPER.EXE, click on the tab, then check the and then choose from the dropdown list. I found the fix for this on my Windows 10 machine. If you right-click on the SQLDEVELOPER.EXE, click on the “Compatibility” tab, then check the “Override high DPI scaling behavior performed by ” and then choose “system” from the dropdown list. Uncheck the show at startup box on the page. I notice with version 17.2.0.188 on windows 10 changing the FontSize=x worked until I open the instance viewer, then it shrinks the whole UI back down. I did find that by expanding the window then using zoom to fit on the instance viewer UI it is a work around, but the fonts aren’t as clear. It is still usable however. yeah that property doesn’t apply to the fx viewers (java FX is the tech behind that screen). They apparently don’t ‘like’ high resolution screens in java 8. Supposedly fixed in java 9 on macs, but i haven’t seen folks have luck with it on windows 10 though. And yes, SQL users are getting that old that they need bigger letters! 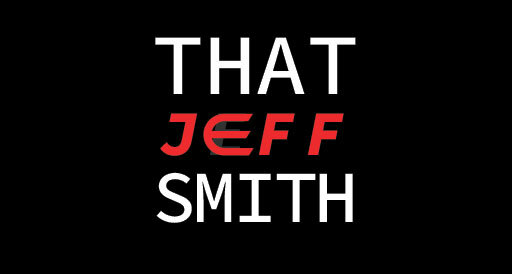 That JeffSmith should accept this! I know it works on Windows…have you tried setting the look and feel to Metal and then try adjusting the UI font settings for the OS? I set the LAF to Metal, its my default LAF. But i verified it using the “Oracle” LAF as well. Another LAF is not available in SQLDev. And yes, i set the font size to 14 on the Linux desktop and almost every other app is changed instantly when i play with the font sizes. Eclipse is the second exception i know besides SQLDev, but it has many different settings to adjust all kind of font related settings to meet whatever one prefer. In my current tool chain SQLDev is the only tool for which i am not able to adjust the font size (yed too, but i use this only a few times a year). if it would work, it would be sufficient. Any entry on the road map to change this via the GUI? You could log a bug with My Oracle Support, then we could get an official ticket setup to reproduce your issue and help to get it resolved. It’s not on the roadmap today, esp since many OS’s offer the ability to ‘zoom’ the apps for folks with sight issues. Windows 10 magnifier for example. I’m running PL/SQL Developer 10, and when I switched to my new Surface Book (3000×2000), everything got so small I couldn’t read it. I couldn’t even see well enough (with my aging eyes) to navigate the preferences menus to properly set the font sizes, so I asked another developer to see if she could figure it out. She started clicking away and changing things trying to fix it, and all she did was manage to increase the menu text to supersize, so now all of the dialog boxes are so jacked up I can’t even read what they are supposed to be, nor am I able to click on many of the options because the font size grew, but not the spacing causing everything to overlap so much it’s unusable. Is there any way to simply “reset everything back to factory defaults”? It would be small again, but at least I could use it again and figure out how to fix my display issue properly. The best advice I can offer you is to start using Oracle SQL Developer instead. But it’s what the company gave me to use… Just hoping you might have some insight. SQL Developer is free, you can self-‘install’ it. Just download, unzip, and you’re good to go. Is there a way to change the default font when right clicking a table and going to the format option? I want the font in all of my tables to be set to size fourteen, so instead of having to change the font from ten to fourteen in one hundred times, having it set to a default of fourteen would be very helpful. the UI font is set in the preferences file that I mention in this post – it’s set for the entire application, not table specific. Are you perhaps asking about the data modeler and the diagrams? Correct, I want to change the default font of the diagrams. The default is set to 10 for all symbols (Title, Column, Key, Comments, etc.) I would like to change the default to fourteen if that’s possible. Sorry I got caught up doing other things. That did work, thank you. Thank you! Couldn’t find it via “find”. How do you change the font in the data grid, the editor is easy enough (Code Editor > Fonts) but how does we change the data grid? This should change the environment globally. Anybody know what the default fonts/size values are for these four? unfortunately this approach did not work for me. 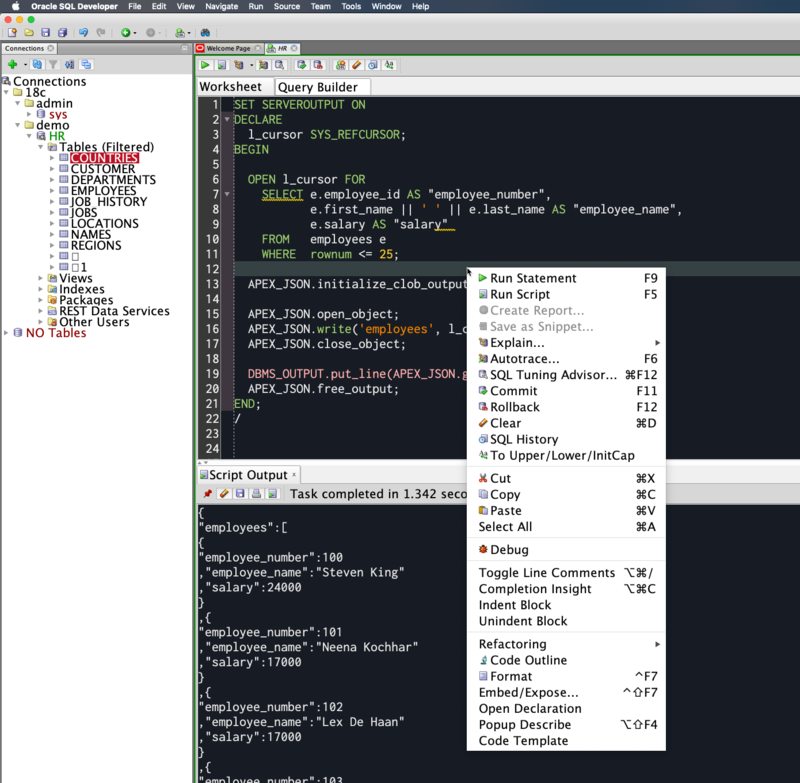 Although i can see the properties after starting SQL Developer in Info / Properties dialog. Never mind about the previous question I got it to work. Thanks for posting the solutions. We’re getting rid of our toad license and I wanted the font bigger in the IDE. I have the same problem. How did you make it work? Thanks! I changed the ide.properties but it didn’t change the font in the ide. Do I need to reboot something? # particular locale, set the Ide.FontSize..
# The default Ide.FontSize for Mac OS X.
I have a new display with a high resolution. Is it planned to take care about such resolutions like 2880×1620? Because when I set the UI font to 24 according your post to make the menus readable, the maximum font size of the editor’s font is 24 too, but that is to small. Also the menus like (New Connection) etc. are not scaled. We have devs coding at 3840 x 2160 resolutions, and are able to work OK with SQL Dev…I think it’s a bit subjective, but to be honest, this is low level framework stuff that the JDeveloper team would have to address. We could bug the item on the 24 font size/scaling issue? Unfortunately, in 4.0.2 it doesn’t look like the Aqua theme is being used, so changing the number value doesn’t work. If you use Jeff’s advice and set Ide.FontSize.en (for “english”) it works. Another small warning – if you change font size like that, certain dialog elements might appear as “missing” until you resize the window – for example, the “OK” button in “Synchronize spec and body”. Yeah, I’d put this in the ‘hack’ category – so use with caution, and appropriately. 4.0.1 still lacks that UI preference for that, or am I missing something? I never said it was going to be in the UI preferences, did I? I seriously don’t know what I was thinking when I said that…my bad!